Andrew D. Cohen is Professor Emeritus of the University of Minnesota. He served as the Director of the Language Resource Center at the Center for Advanced Research on Language Acquisition (CARLA) from 1993–2004 and was active with numerous projects within CARLA including: two studies involving Spanish immersion education at the Adams School in St. Paul; research at the Concordia Language villages with German, French, Russian, and Norwegian; development of guides for study abroad and research with students in French and Spanish-speaking countries; development of a guide for styles- and strategies-based instruction; the construction of websites for the teaching and learning of pragmatics, and for learning speech acts in Japanese and in Spanish; and a grammar strategies website for learners of Spanish. Cohen’s work in developing a program for styles- and strategies-based instruction (SSBI) included both a research study validating the effectiveness of integrating language learning and use strategies into language instruction, a SSBI training guide (Styles- and Strategies-Based Instruction: A Teachers’ Guide; 1997, fully rewritten in 2005), and an annual summer institute on the topic entitled "Improving Language Learning: A Practical Course in Strategies-Based Instruction." He also teamed up with Michael Paige and Barbara Kappler to write guides for learners, instructors, and program professionals in how to maximize the learning of language and culture strategies to enhance study abroad. In addition, he oversaw the creation of research-based materials on pragmatics and the development of a Spanish grammar strategies website for learners, which is intended to serve as a model for how to support the learners of problematic grammar forms in any language. 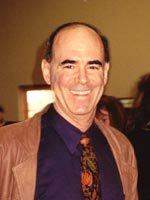 Dr. Cohen's personal website includes many PDFs of his publications and a full bibliography of his work. The up-to-date website provides the best way to contact Dr. Cohen as he no longer works at CARLA or the University of Minnesota.